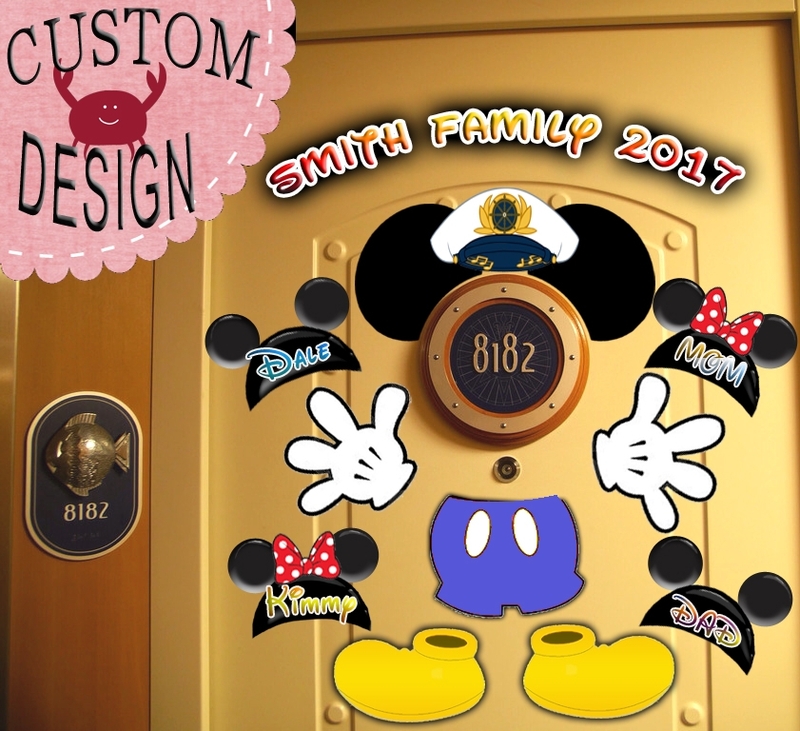 Print now to create your own Disney cruise door magnets! Lights you don’t have to untangle on your holiday cruise! What do you want to come ‘home’ to after a busy day on a Disney cruise ship? How about twinkling Christmas lights? This design is perfect for the Very Merritime cruises setting sail for the Christmas season. 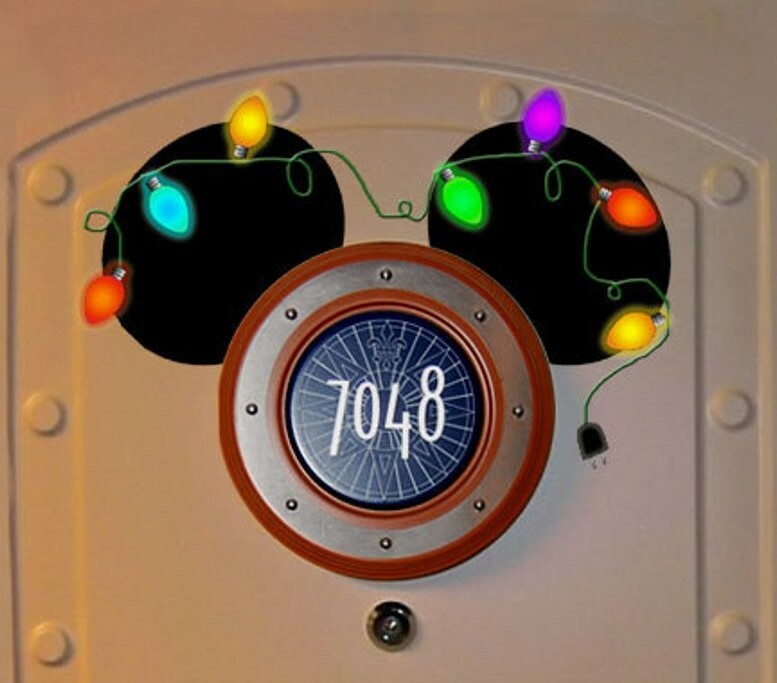 The ears come in two pieces that I designed to fit perfectly around the porthole number on your cruise door. The download is in PDF form and prints on regular 8.5”x11” paper. Here are my instructions on how to turn my designs into magnets (it’s easier than you think!). You don’t really need special magnet paper or a laminator to create great looking designs.